My first septic shock was in June 2015. I went in for a routine hysterectomy at 39 years old, which became complicated. (Sepsis and Surgery) My bladder was perforated, and this was missed. 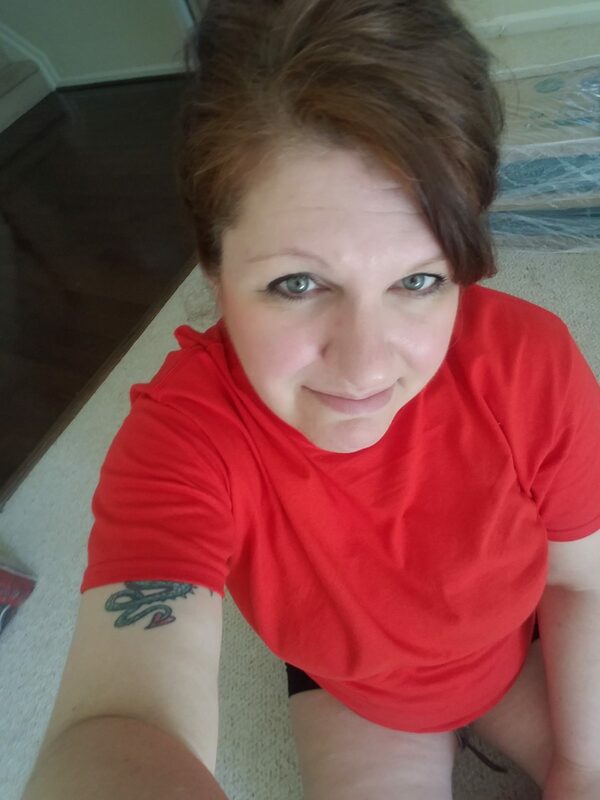 I went home feeling great, but I had extensive bruising on my ever swelling belly, which doctors assured me was normal because of the 400+ vessels they had to cauterize or tie, since my surgery was so complicated. Two weeks later, I felt like I had a UTI on a Sunday morning. My 9 year old son had a birthday laser tag party at 4pm, so my doctor agreed to call in antibiotics and I would see her the next day. I picked up the meds, but things went sideways quickly. I only remember calling for help, being in the ER, and a paramedic taking my son out of my curtain, over his shoulder, reaching for me. I had coded. I had 6 procedures to rebuild my urinary tract. Two weeks in the hospital, ureter stents (worst things ever) and 6 months of IV and oral antibiotics. I came away with mild neuropathy, and couldn’t eat. If I ate, I threw up. This went on for 16 months, and the neuropathy got worse. January 2017, I was taken by ambulance for emergency gall bladder removal. Who would think that ANOTHER routine surgery could go terribly wrong, and I would go into septic shock AGAIN? What are the odds? A lot of dramatic stuff happened here, but I’ll jump ahead. I woke up in Georgetown Hospital in March. I miraculously avoided amputation, but had extensive nerve damage to my extremities, and was at that time paralyzed from the neck down, and anything touching me hurt like hell. 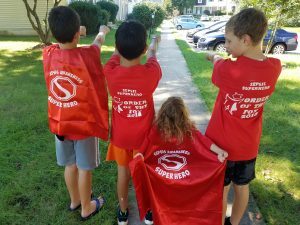 That September, my then 10 -year-old son and I decided to do the Sepsis Awareness Superhero Challenge. We started with a few steps with my walker, then I wheeled my wheelchair, then he pushed me. We went out 6 times, but we made our mile. 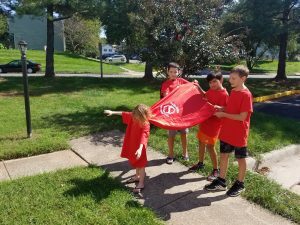 We did the Challenge in 2018, and I was able to WALK the entire mile, no walker, no crutches, just my “human crutches,” my son and his friends and their moms. I still walk with a limp. I get tired easily. But I’m alive. And I’m getting better every single day. And I’m grateful. Previous Previous post: Wendy B.